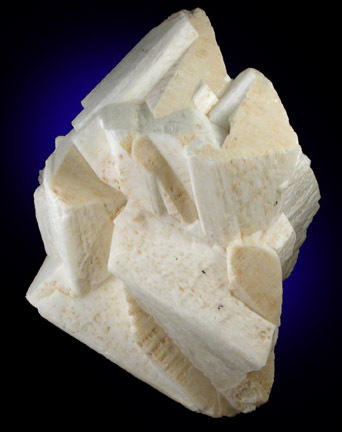 Description: Feldspar collectors take notice: an unusual albite overgrown on albite specimen. 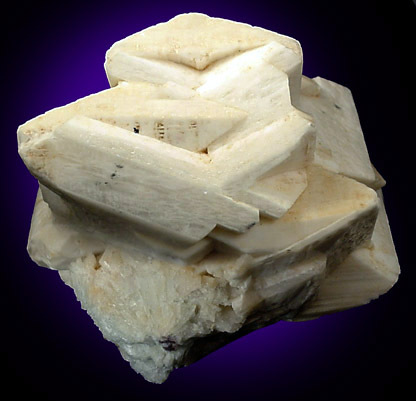 Large creme-colored pericline-habit albite crystals up to 7 cm in an interwoven formation of stacked crystals. 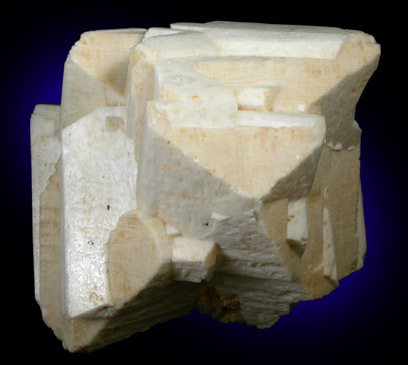 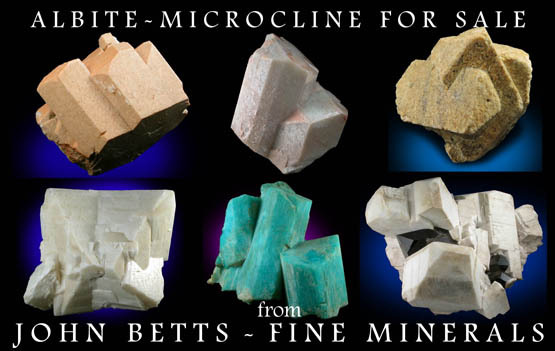 The base is pale blue cleavelandite.